Having helped propel his side to the top of the Premier League with an unsurpassed 14 goals so far this season, Mohamed Salah is once again one of the frontrunners in the race for the Golden Boot. The Liverpool forward is the joint leader in the scorers' standings along with Pierre-Emerick Aubameyang of Arsenal and Tottenham Hotspur striker Harry Kane. But the Egyptian is also on course to join elite company by reaching another milestone. With 46 PL goals for the Reds, to add to the two he scored during his spell at Chelsea, Salah is only two short of his half-century. Should he reach that mark by scoring twice against Crystal Palace on his 72nd PL appearance on Saturday, he would become the joint fourth-fastest player to do so in the history of the competition. 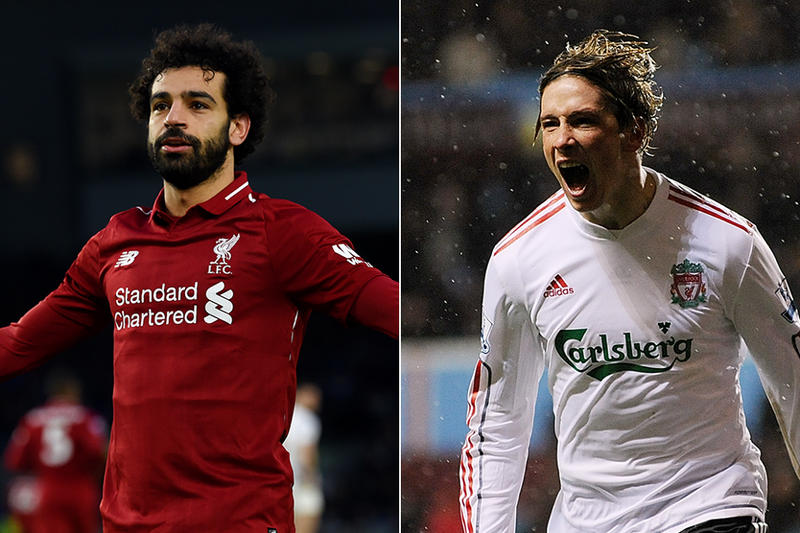 The other player to reach 50 goals in 72 outings was Fernando Torres, who played for the same two PL clubs as Salah, reaching his half-ton with Liverpool's stoppage-time winner at Aston Villa on 29 December 2009. The player to bring up his 50 in the fewest matches is Andrew Cole, who did so in 65 appearances for Newcastle United and Manchester United. He rattled off his half-century in one match fewer than Alan Shearer, the competition's all-time leading goalscorer, and three fewer than Man Utd's Ruud van Nistelrooy. If Salah does reach the milestone, he will become the first Egyptian to do so and only the eighth African overall.